Sit down, take a deep breath and think, what kind of software you'd like to create. Should it be a game? a finance manager? a pack of useful scripts? What is the destination platform? In other words, on which model will you run your program? Organiser II? Series 5mx? Or maybe you're about to make a cross-platform application? Now that you've completed point 1 and 2, choose the best tool. OPL seems to be the best choice for most applications, at least for beginners. It will give you a wide variety of useful functions, covering graphics/animation, sound, GUI and integration with built-in software. On the other side, assembler will give you freedom, joy of hacking and great performance - of course if you're already familiar with assembly programming. However, it's pointless to write a home expense tracking suite with an extensive GUI in assembly language. If you're planning a cross-psion application, running on the Series 7 as well as on Series 3, choose OPL. This will save you a lot of work you would spend porting your program to other platforms. If your program will run only on EPOC machines, you may want to choose some more "mainstream" language, like Python, Perl, Java or Lua - especially if you have some previous experience. In this case, come back to the first part and read about the limitations. Having chosen one of the abovementioned, remember that you need to supply the users (if you're willing to publish your work) with the runtime libraries. It's really straightforward with Lua: there are separate .SIS packages available and all you need to do is to put them together with your application. Java needs JVM, the virtual machine available with the SDK (see part 1). Perl and Python require the interpreter to be installed. Ok, you have chosen your tool? It's time to learn to use it. For OPL and SIBO/EPOC machines, read "Programming Psion Computers" - the Bible of Psion programming. Organiser programming tutorials may be found on the Organiser II homepage (see part 1). 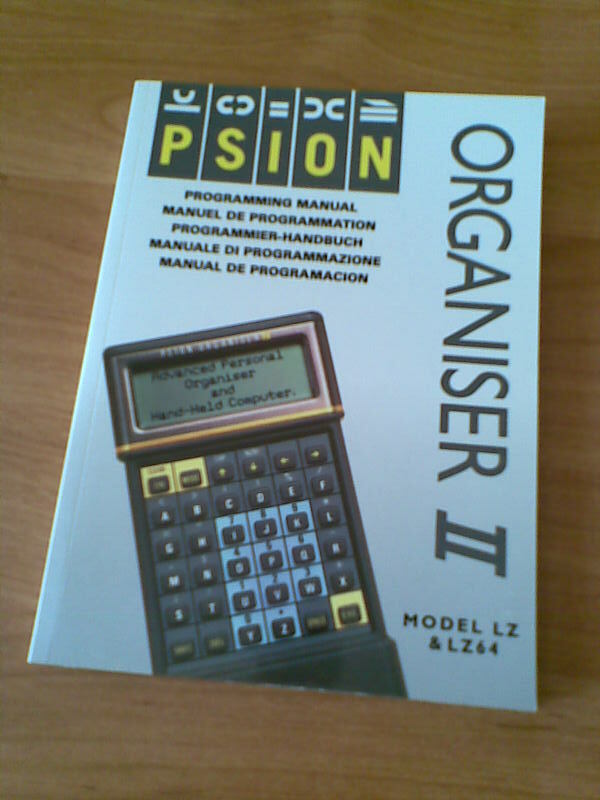 If you have chosen assembler, you not only need to learn the mnemonics (assembly commands) for your platform, but also should become familiar with your computer's internals - read "Programming Psion computers" or the manuals on Org II homepage. For those who want to write in OPL, especially for future game developers, there's an excellent programming tutorial in EPOC Entertainer, covering everything needed to write your own application - the tutorial takes you through the steps of game development. You can also look for some OPL tutorials for Symbian, e.g. this one. Perl, Python, Lua and Java tutorials were mentioned in the first part. Code, code, code. Practice makes perfect.